"I've been summoned. Thursday, ten sharp." Thus begins one day in the life of a young clothing-factory worker during Ceaucescu's totalitarian regime. She has been questioned before; this time, she believes, will be worse. Her crime? Sewing notes into the linings of men's suits bound for Italy. "Marry me," the notes say, with her name and address. Anything to get out of the country. 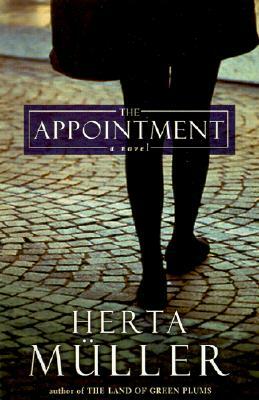 Herta Müller pitilessly renders the humiliating terrors of a crushing regime. Bone-spare and intense, The Appointment confirms her standing as one of Europe's greatest writers. Born in Romania in 1953, Herta Muller lost her job as a teacher and suffered repeated threats after refusing to cooperate with Ceaucescu's secret police. She succeeded in emigrating in 1987 and now lives in Berlin. The recipient of the European Literature Prize, she has also won the International IMPAC Dublin Literary Award for her previous novel, "The Land of Green Plums."